The 2016 presidential race may be clogging the airwaves, but that doesn’t mean other elections should be ignored. As we near the end of this year’s election season, it’s important to be informed about what is happening around the world. Here are the top five most important elections you should know about. With more than 1.2 billion people, India is the second most populated country in the world. 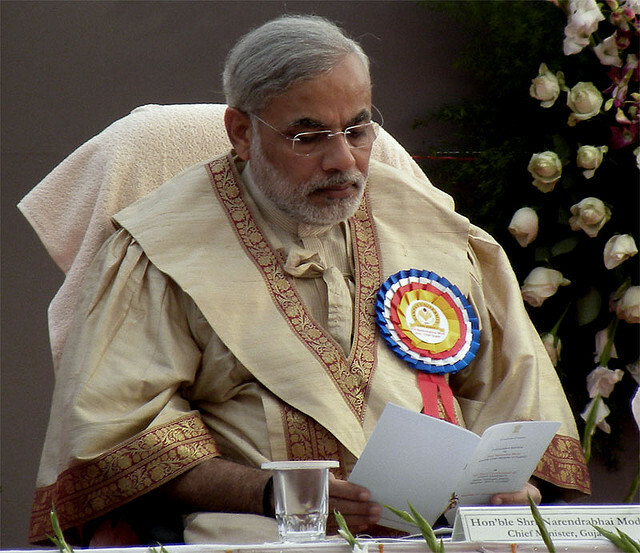 Its current prime minister, Narendra Modi, the leader of the Bharatiya Janata Party, was elected in 2014 despite criticism of his role in deadly anti-Muslim riots while Chief Minister in the state of Gujarat in 2002. Many Indians have not been able to forgive him. PM Narendra Modi has been in office since 2014, ushering in a new era of democratic governance in corruption-plagued India. Now, his party’s authority is being threatened after huge election setbacks in Bihar state. This was evident on Nov. 8, when Modi and the BJD suffered a stunning regional defeat in the Bihar State Legislative Assembly elections by an anti-Modi alliance party, Janata Dal (JD). Nitish Kumar, a member of that party, remains in power as the Chief Minister of Bihar State. JD, now the majority party in the Indian parliament, won 178 seats against BJD’s 58. Bihar is India’s third most populated state, with nearly 100 million people. Had a telephone conversation with Shri @nitishkumar & congratulated him on the victory. A dramatic shift in Guatemalan politics took place at the end of last month as Jimmy Morales, a former comedian, was elected president with 67.4 percent of the vote. His election comes nearly two months after anti-corruption protestors forced former President Otto Pérez Molina out of office. Molina was arrested and put under house arrest on Sept. 3 amid accusations of leading a multi-million dollar fraud scheme. He is currently awaiting trial. “[Morales] has won overwhelmingly in the context of popular rejection of the political class and outrage over corruption charges of the previous government,” said Eric Hershberg, the Director of the Center for Latin American and Latino Studies at American University. 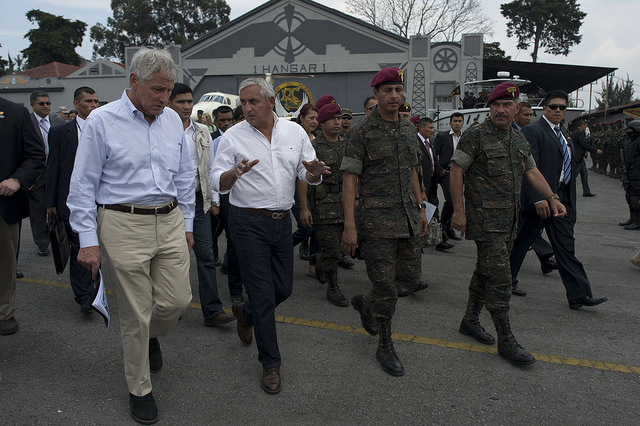 Former Guatemalan President Otto Pérez Molina (center, white shirt) is currently being investigated for corruption charges. Although there seems to be optimism among Guatemalans for a less corrupt future, Hershberg doubts any changes will come quickly. On Nov. 8, The National League for Democracy Party (NLD), under the leadership of Aung San Suu Kyi, won enough seats in the parliament to have the power to choose the next president in January. This was the first democratic election since 1962, when a military dictatorship took control over the country. Aung San Suu Kyi meets with Secretary of State Hillary Clinton in 2011. 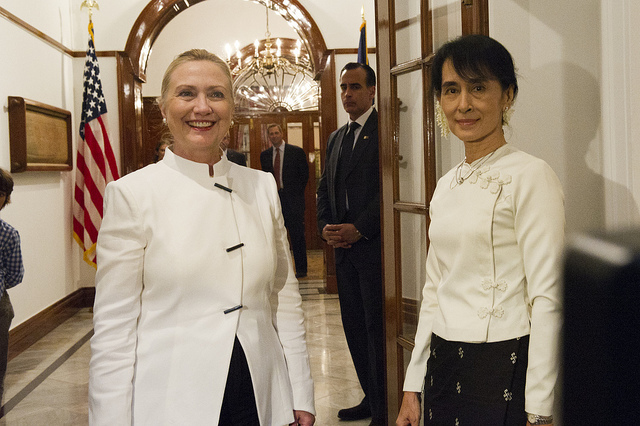 Clinton has supported Suu Kyi’s rise in Burmese politics. This is a huge step in the right direction for Myanmar, a country that has been under quasi-military rule for the last five years. Former military commander Thein Sein was elected president in 2010, becoming the first civilian appointee, but the fairness of the election was widely disputed. Sein was also criticized for his divisive comments about resettling abroad the nearly 1.3 million native Rohingya Muslims. Egreteau says that, despite the emergence of a new political regime, marginalized Muslims still face an uphill battle. Still, many world leaders lauded the smooth transition of power in these historical elections. US President @BarackObama has called Burmese President Thein Sein to congratulate him on conduct of Sunday’s historic election. The far-right Law and Justice Party (PiS) won a majority in Poland’s parliament and will move to form its own government, defeating the center-right Civic Platform Party, which has been in power since 2007. PiS now has the biggest majority in government since Poland withdrew from the Soviet Union in 1989. 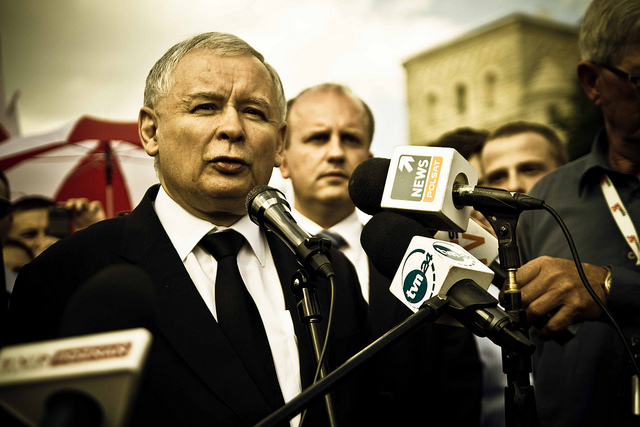 Leader of the Law and Justice Party, Jaroslaw Kaczynski, addresses reporters. PiS’ rise to power also has key international implications. Under its leader, Jaroslaw Kaczynski, PiS has been skeptical of the European Union and advocates for more independent control over its own borders. Kaczynski has been accused of inciting xenophobia, particularly against refugees who have flooded into Europe from the poverty-stricken and war-torn Middle East and North Africa. “There are already signs of the emergence of very dangerous diseases which haven’t been seen in Europe for a long time: Cholera on Greek islands; dysentery in Vienna; various types of parasites, protozoa, which aren’t dangerous in the organisms of these people but which could be dangerous here,” Kaczynski told voters last month in the run-up to the election. While his comments about refugees have been ridiculed by more liberal voters, they have simultaneously struck a nerve with increasingly conservative and anti-immigrant right-wing advocates, who are gaining steam across Europe as tensions reach a boiling point over the refugee crisis. Much of sub-Saharan Africa is often associated with political violence. Last month, Marist even hosted a lecture on post-election violence in Africa. But one West African nation is trying to defy the stereotype. In the first peaceful elections in two decades, Alassane Ouattara was re-elected as president of Ivory Coast on Oct. 28. Ouattara came to power in 2010 after international pressure forced former President Laurent Gbagbo out of power. Gbagbo initially refused to step down, leading to massive unrest and violence that left more than 3,000 people dead. The Ivorian Popular Front, Gbagbo’s former party, was no match against Ouattara in this election. The IPF candidate, Pascal Affi N’Guessan garnered just under 10 percent of the vote.